Seriously, I'm a lucky girl: I'm in Victoria Greenlees' CT! The more I see of her designs, the more I'm amazed by her talent and creativity. 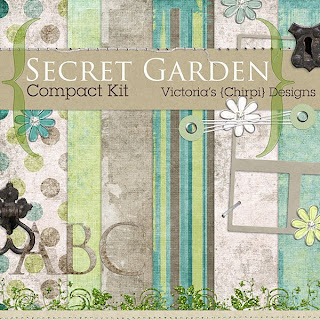 My new favorite is her latest kit Secret Garden. It's my little brother (5 years younger than me! 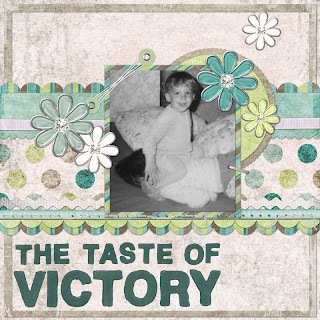 ), sitting on my head after having won a home wrestling competition… I made this LO for SSD’s Cookie Decorating challenge. title alpha is Val Fowler’s Foam Stamp alpha.